Do you use a Word Wall? 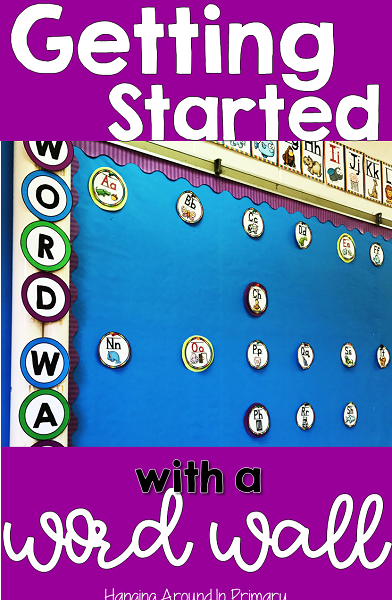 I think that a Word Wall is an essential part of a primary classroom and WELL worth the wall space that it takes up. There has been a lot of debate in recent years about the merits of a Word Wall. I feel strongly that it is a necessity, but I also feel strongly that it is only beneficial if you TEACH kids how to use it. This is the first post in a multi-post series about how I set up my word wall, my daily routines and how I practice, practice, practice so my students learn these words. First off, you may wonder how I decide on my words. Our school board does not dictate our literacy programs, so I don't have a series I have to follow. I use word lists from different resources: Dolch word lists and the PM benchmark texts to determine the order I introduce the words. There are many resources out there that are helpful. Check with staff at your school to determine if there is a specific list you need to use. I have a set of word wall cards that I have had for years. The words are different colours and cut to show the shape of the word so that students can easily notice what I call "tall, tummy and dangly" letters. 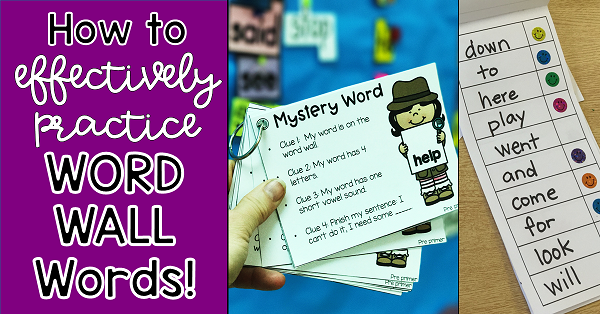 Having different colors makes it easier to help your students locate the word on the word wall with just the cue of "look for the purple word under D for Dinosaur." 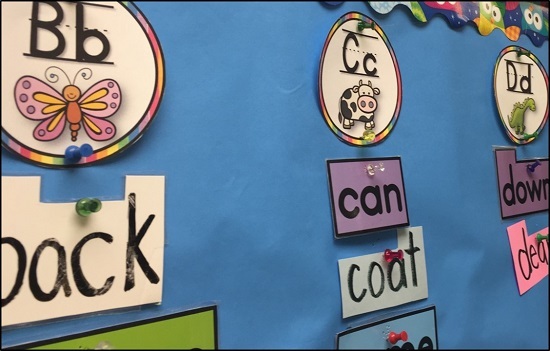 Being able to prompt students with colour cues as well as animal clues for the particular letters is very helpful for many of your beginning grade 1 and kindergarten students. I am also intentional about my letter headers on the Word Wall. 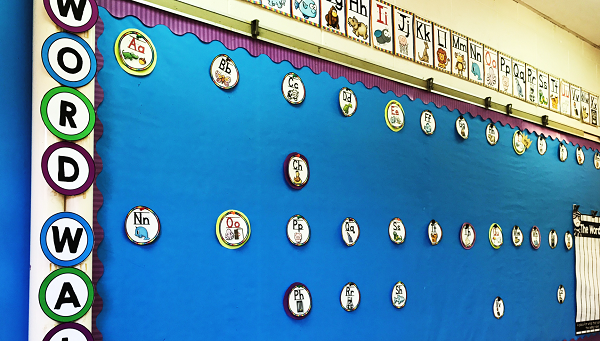 I have taught Grade 1 for almost 20 years now, and it is only recently that I made a change on my Word Wall that has saved my teacher sanity. At the beginning of the year a lot of, my students struggled to find a word because they did not have their letter/sound associations solidified. The letter card didn't provide any help when you said to look under D, because they didn't necessary know what a D looked like. I decided to create my own header cards (and name tags and alphabet cards, too) with an animal on it so that the those kids could develop an association for the letter. This has worked like a charm. What was even better was their Name Tag had a miniature version of the Alphabet Posters which matched the Word Wall headers. 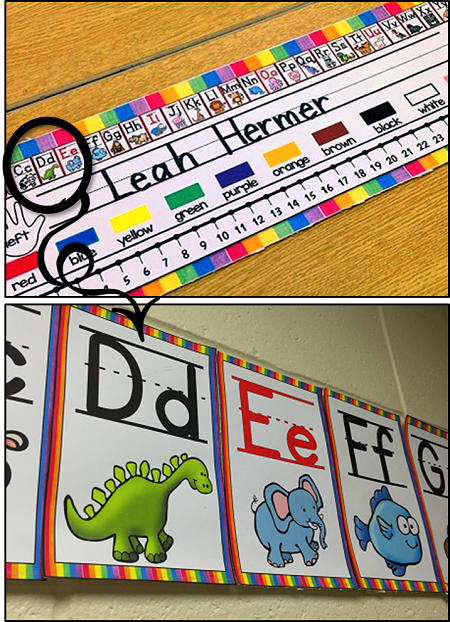 When talking to my students, I can say "D like Dinosaur," and they can find the word all by themselves no matter where they look in the classroom. It has seriously been life changing having that picture clue and having all the related resources matching. 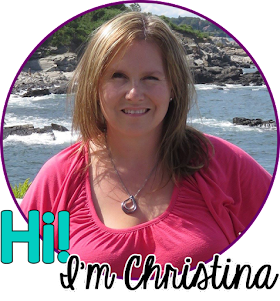 You can find these Header Cards and all the coordinating pieces by clicking on the image below, which will take you to my TPT Store. There has been a lot of debate in the last few years about what a Word Wall should look like as well as should teachers even use valuable classroom space to have one. Obviously, I am in the camp that says they are essential, but as educators, we need to decide what it will look like in our classrooms. You need to consider a few things: Do I have a wall space that will work? Will it be accessible to all my students? Can they see it from their workspaces easily? I have always had a traditional Word Wall on a large wall space. I like to ensure that there is lots of space for the words since I usually have close to 100 words on my wall by the end of the year. This is what it would typically look like at the beginning of the year. When I talk about the Word Wall being accessible for all I mean a few things. I like to ensure that students can see the Word Wall from any workspace in the classroom. We have tables in our room, and they are all positioned in proximity to the Word Wall. Students often come and stand in front of it to get a closer look, and I am always happy to take a word down for a student to use. I follow the same routine each week and my students get used to my established routines when it comes to adding words and the Word Wall. I try my best to use the Word Wall for teaching every single day. As we all know, things don't always go as planned in the classroom and the best laid plans get set aside. At the beginning of the year it is really important to carve out time everyday to use the Word Wall with your students so, if you are lacking time later in the year, they have a good understanding of how to use it. 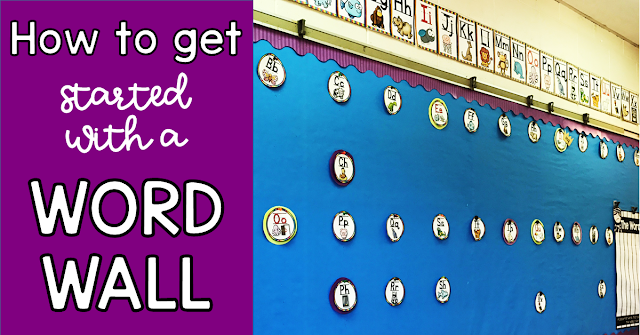 A word wall is just a bulletin board unless you build it with your students and teach them how to use it. 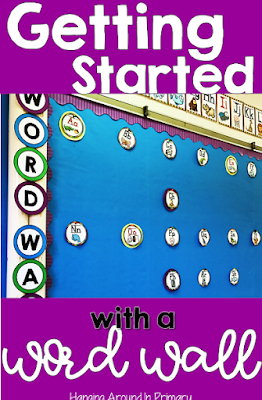 Check out my Word Wall Pinterest board which shows some of the other options you can use for setting up your word wall. 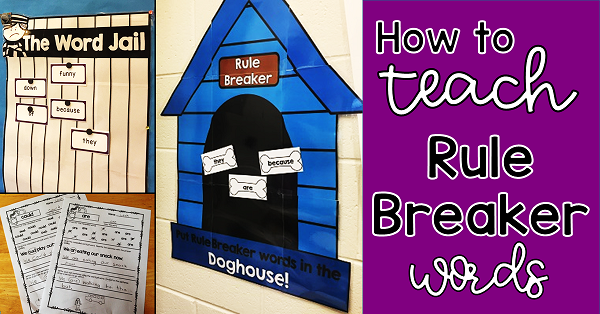 Are you ready to read about how I teach my kids to read and spell rule breaker words? Click on the image below to find out more about the Word Jail and the Doghouse. Are you interested in learning more about how we actually practice daily? Click on this image to head over to that post. This is awesome...love the pictures of your classroom and use of the word wall...love the popcorn words and word jail ideas too. Have a wonderful year! Thank you for sharing! thanks! I am glad you like looking at them. I love looking at photos of other people's classrooms. They are a great source of inspiration. Great post! I can't wait to read Part 4. Thank you for sharing your ideas and classroom! Thanks Mary. I am so glad you stopped by and enjoyed the posts. This is such a great post. Thank you so much for sharing. You are very welcome. I am glad you enjoyed it!